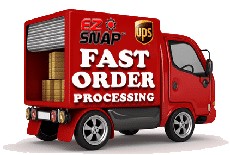 EZ Snap is the quickest and most cost effective way to get custom made exterior shades for your RV. 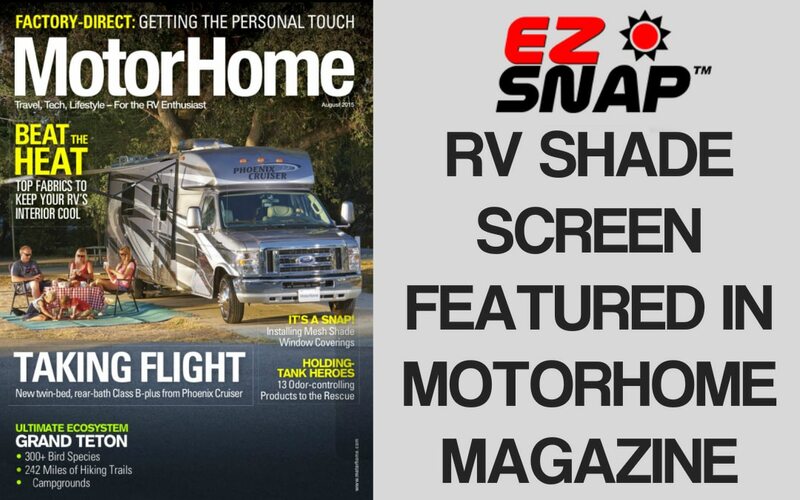 The more than 148,000 readers of MotorHome Magazine were treated to a in-depth article on the EZ Snap RV Shades. The article detailed a full install done by magazine staff a two different RVs. They concluded that the EZ Snap fastener system made for an easy to install solution to custom RV window shades and an effective way to not only block the heating rays of the sun, but also protect the interior of the RV. As with many of our first time users, they also were pleasantly surprise at how good the visibility through the EZ Snap shading was. This is thanks to the optical grade quality of the mesh . 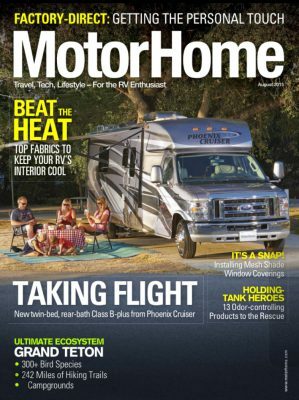 Be sure to check out the full article for yourself in the August issue of MotorHome Magazine. Important install notes on the last page! !